Swift is the foundation of the Apple ecosystem. Learn how to make the most of it with this bundle. The best thing about Apple products is that they all know how to communicate with each other. That's in part thanks to Swift, the programming language that is the foundation of all Apple apps. Get the Complete Swift 3 Hacking Bundle and start building your dream apps. It's on sale now for 95% off the retail price – that's $35 (approx £27.50). Swift 3 is an essential language for any programmer to master. To get up to speed on the latest version of the code that makes Apple devices tick, grab the Complete Swift 3 Hacking Bundle. It's packed with more than 64 hours of lessons that will teach you how to build for iOS, MacOS, and WatchOS. By the time you're done with this bundle, you'll be building apps that will climb the App Store charts. 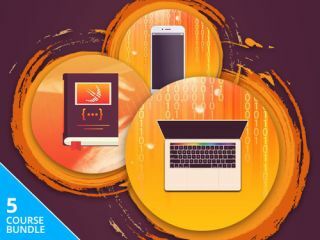 The Complete Swift 3 Hacking Bundle usually retails for $700, but you can save a whopping 95% off the retail price right now for this collection of courses. Don't miss out on those incredible savings; grab this bundle today!